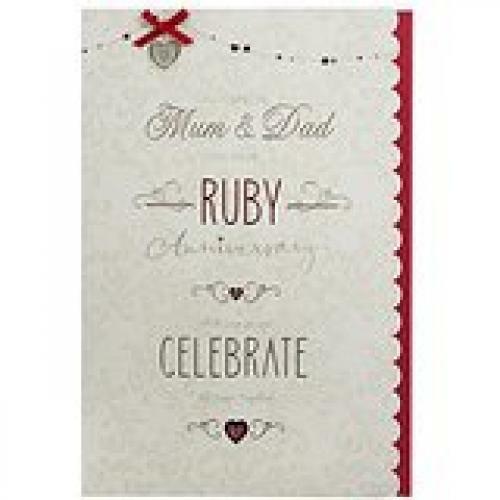 Lovely Ruby Anniversary card for your Mum and Dad. Decorated with a small red ribbon bow, a heart shaped jewel and red and silver foil lettering. The insert is printed with a nice verse in red and silver.